The Gentleman Crafter: Happy Friday Everyone! Good Morning and Happy Friday Everyone! Let the crafting begin! Yahoooo! This morning, I wanted to show you how I made the Haunted Panorama! A fast and easy project that really makes a nice addition to your Halloween decorations. So lets get started! 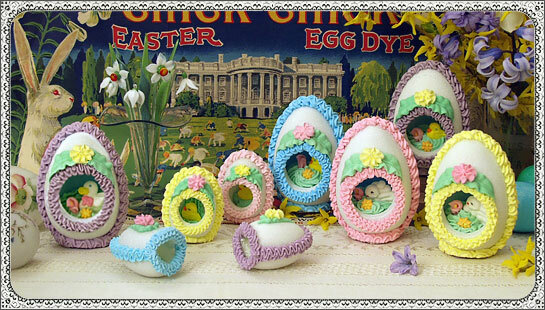 I always loved these and still find and purchase them to display along with my Easter decorations every year. For times sake, I once again grabbed the video camera and did a short two part video on the highlights of making the Graphic 45 Haunted Panorama. If you have any questions please email me if I didn't cover something that you would like to know. Hope that you all give this a try! I know I will be making more for gifts! Especially for my friends that don't like sweets! I can't even imagine! LOL! Hope you have a wonderful Friday and I'm off to do a few more videos on my Haul from The Crafty Scrapper in Waxahachie! Yahoooo! Jim thanks for sharing! I am so going to make one of these! Super adorable, Jim! What a fantastic project! Thanks !! I will have one in my home! Jim this is sooooo cute. I have to make at least one. You are such a joy and inspiration to watch. Thanks for taking time to show us all how to make the spooky...but totally cute...Haunted Panorama!! Glad you're home safe and got your nap!! What is it about driving from Dallas to Gtown that just zaps our energy??? I always feel the same as you. Always ready to stop at the Czech for a kolache...or 2...LOL!!! Can't wait to see what you spent the mortgage money on at The Crafty Scrapper...LOL!!! Hi Jim, Busy week. I am sitting down with my feet up & a cup of tea for the first time this week, so I have a lot of posts to catch up on. Loving this project. I have never seen panoramic Easter eggs before. They are so cool! It must be a U.K. thing as my Mum is Easter crazy & has bought all kinds of Easter themed sweets, decorations & jewellery over the years. Super project & great videos. Thanks for sharing. Your panoramic is adorable and makes such a cute accent piece during the Halloween festivities. I miss decorating for Halloween (which use to be one of my favorites. However, since we moved to this home which is on a private secluded area, we no longer get all the cute little trick-or-treaters. Not even one!!!! But I might give this a try since my twin granddaughters are 2 1/2 now they probably would enjoy looking at this. Love your project and I don't do Halloween but I know it will work for something else. Thanks for sharing your great projects and ideas. Spooktacular, Jim! The MS ribbons go perfect and I'm so glad you got to use them. Love the flicker tea light, too. Can't wait to see what you got from thr crafty scrapper. Hi Jim, this haunted panorama is Spook-tacular! and thank you for sharing your how-to video... I so want to make one that i'm going to stop in at Michael's (no hobby lobby here in Canada :(...) later this afternoon and get some supplies to make two of them. We are huge Hallowe'en fans and this will be so cute on my mantel! I have one question... after the lid is adhered, how do you get to the tea light to turn it on/off? I'm thinking a small hole in the back maybe or underneath, depending where the switch is on the tea light? Thank you so much for FABulous inspiration! I never really adhered the lid. I would just make a lip for the inside top with chipboard and just set it on top. I just slid the tea light in and out every time I want to turn it off and on. The batteries in these things last, but only for a while. It's almost cheaper to replace the tea light these days. Have fun! Would love to see pictures when you get it done! Jim, We made the eggs like this when I was little with my mom, as a matter of fact, I showed my daughter how to make them last Easter. I love how you got your inspiration from these. Your Halloween piece is just Adorable, thanks for the great tutorial. Jim had to tell you, I went to Mike's and they had NO round boxes. So I went to JoAnn's and they did and they were only $1.00 each so I splurged on half a dozen. And lo and behold they had that Fiskar's punch for less than $6. Bonus! Thanks for a great tutorial. Can't wait to start. I love watching your videos! Thanks for the tutorial - I'd like to try the star paper idea. Another wonderful tutorial. I love the way you create. It is hard to believe that you started with a little cylindrical box and turned it into a darling Holloween accent. Thanks for sharing your design. This is so dang cute!!! Great job as always. Super, super!! Cool as can be and inexpensive to make... I gotta try this! Hi Jim, I was born and raised in Dallas until we moved to Duncanville where I attended junior and high school. Duncanville (which was a population of 3,000 when we moved there) is just down the road from Waxahachie and the Crafty Scrapper. I live in Prescott, AZ, now but am coming home for my 45 year high school reunion in October and am coming in early to attend the Artistic Journey 2012 at the Crafty Scrapper. Like you, I always have to make a stop at the CS when I'm in town - they are so nice and have the greatest shop. I love everything you do and am so appreciate of all you share with us. You are truly a Texas Gentleman! I check your blog all the time and watch all your videos. Thank you so much! I am new to your blog and have been enjoying catching up on all your pieces and tutorials. You are so talented, and have a great way of teaching. I can't wait to try my first 3D piece soon. That panorama is so awesome.